Before I had kids, I was pretty clueless when it came to shopping for a baby shower. I just bought whatever was on the registry and stuffed it in a bag. Now, I have a better idea of what new moms need, and I like to share some of my favorite goodies for mommas and babies. These are just a few products that helped me survive my first time around as a mom, and I will definitely be using these again the second time around. 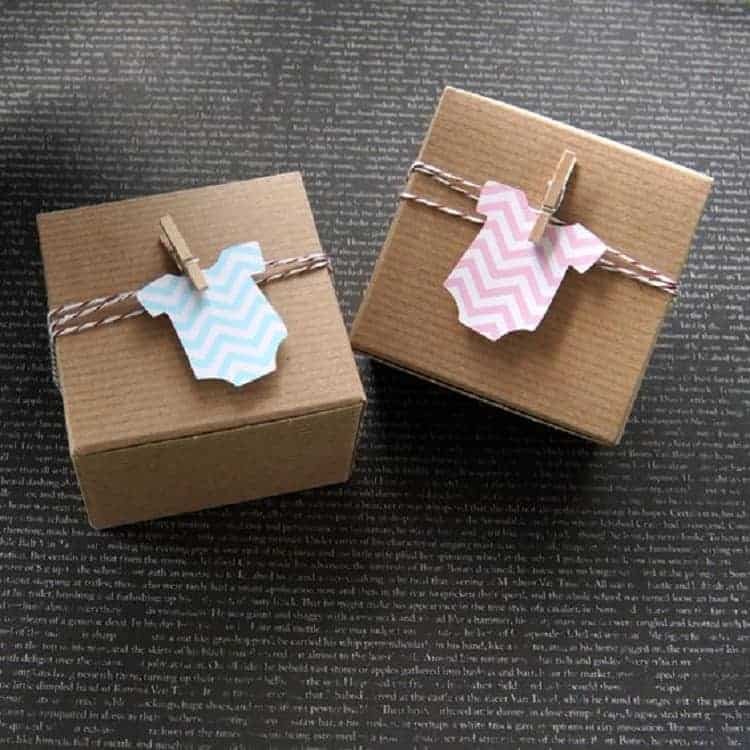 If you have a baby shower to attend, keep these baby shower gifts in mind and check out some of the most creative ways to wrap all of the must have baby items. You never know how new babies will react to creams and other products so it is best to use only natural products especially at first. 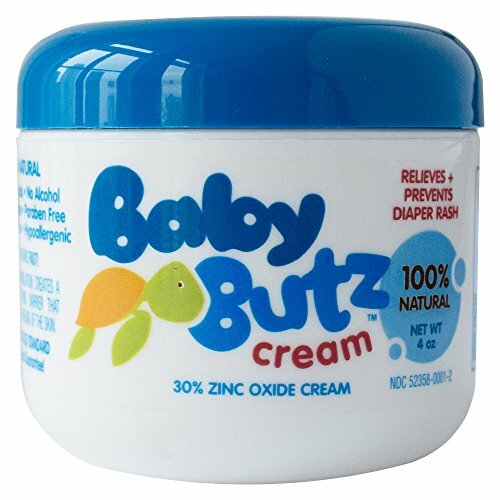 Baby Butz has 100% natural ingredients, and it is used in many hospitals and neonatal units all over the country. It has no smell, and it blends into baby’s skin nicely leaving them dry and moisturized without any kind of greasy after feel. This is always a great addition to baby shower gift. Tuck a small gift like this into a box with simple embellishments like this from Baby Shower Ideas 4U. It is always good to try out a noise machine to help soothe a new baby. Living inside the womb is actually very noisy listening to the internal workings of the body as well as the sounds of the outside world. This can make it difficult for a new baby to sleep in complete silence. 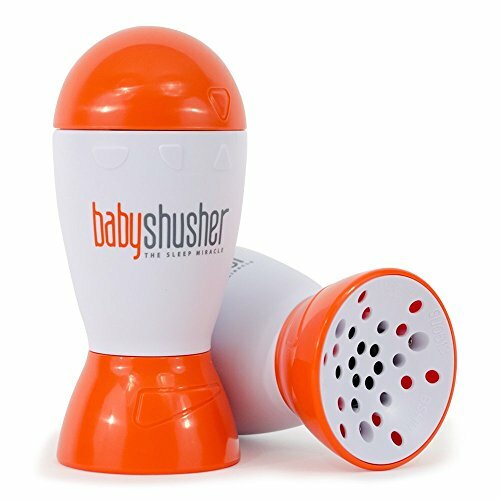 The portable Baby Shusher is a great gift to give for newborns. The soothing, gentle shushing helps lull baby to sleep. It has an adjustable volume and a timer too. 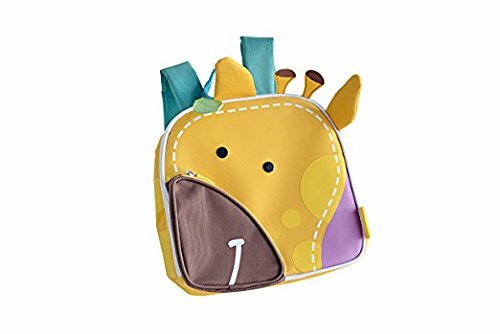 Its small size means it is easy to toss in the diaper bag for a trip away from home. Also read: Can Your Outdoor Gear Take a Beating...From a Bear? Use this great idea from Casey Baudoin at Sugar Lander. While she went to the trouble of stitching and hand stamping this cloth, you can easily use a receiving blanket to wrap up a box. These little animals are great for the tub! The SoapSox have a soap pocket to put a bar of soap inside to wash up baby. 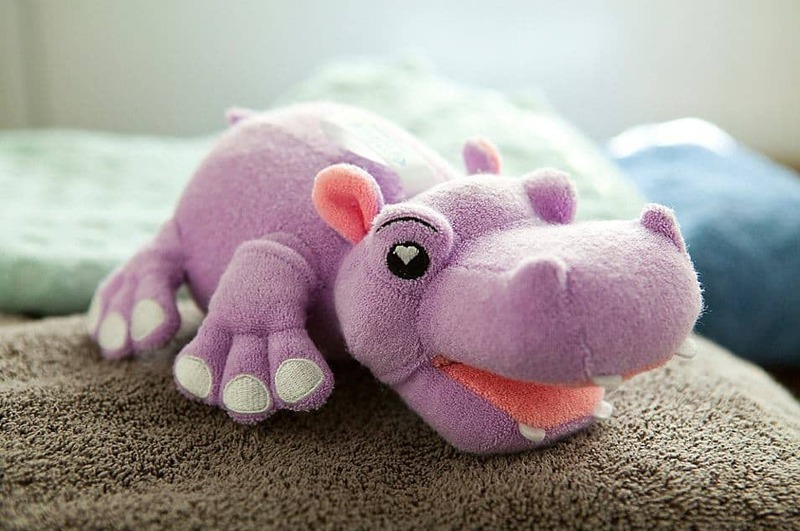 The animals are entertaining for little ones and the soft fabric makes them gentle enough to use on infants. 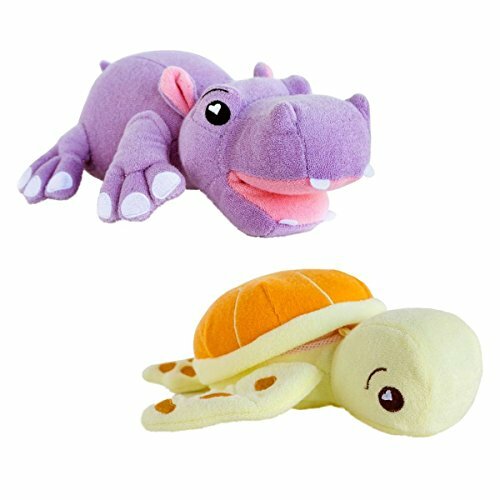 It is a nice bath time accessory to add to a baby shower gift, and they come in a variety of animal designs. People come up with some of the most creative gift wrapping ideas like this bathtub gift basket. Visit Baby Savers for a tutorial on how to create this masterpiece, and add an adorable SoapSox®. When an expectant mom already has other children, I always like to give the sibling a little present. One of these insulated lunch bags always makes a little one happy especially when I fill it with goodies for them. This durable insulated lunchbox has a zipper compartment on the inside to hold napkins and cutlery with plenty of room to keep food chilled. There is also a pocket on the outside and straps to wear it like a backpack. The rubber zipper handles makes it easy for little fingers to open. Make the sibling feel special by going all out with the wrapping. This incredible gift wrapping idea from Hip Who Rae is easier than it looks, and what kid wouldn’t love to get this present?! It will make any new sibling feel included in the celebration of a new baby. I always like to give some small gifts in addition to a big present, and you can’t go wrong with a teething toy. 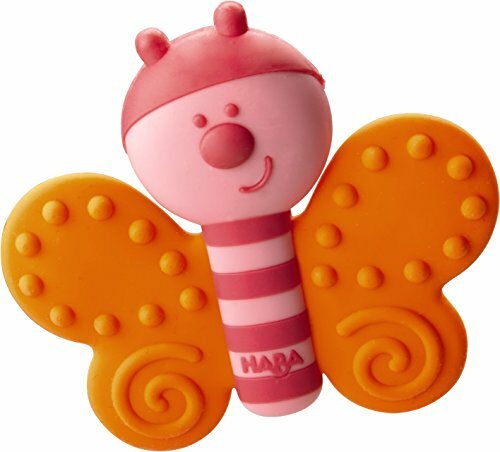 This butterfly from Haba® is made from food grade silicone, and its bright colors with an easy grip make it attractive to babies. It will helps soothe them through those months of teething. 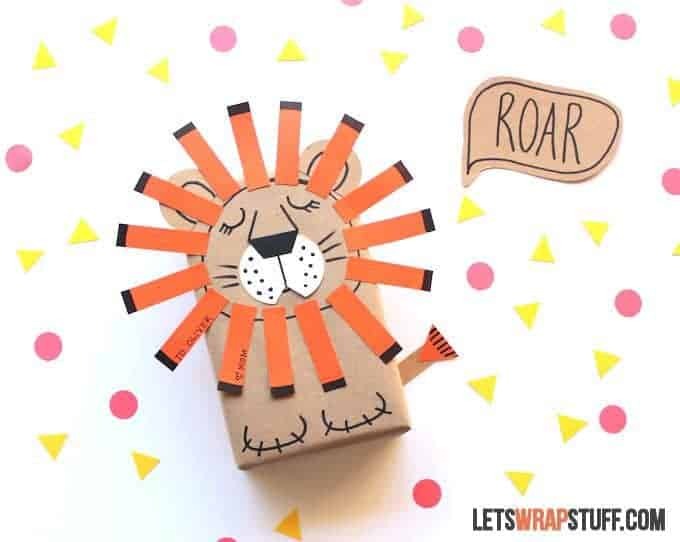 There is a tutorial from Let’s Wrap Stuff on how to make this adorable sleepy lion to wrap up a little gift like a teething toy. For breastfeeding mamas, Nanobebe has a variety of products to help store breastmilk, and there is even a geometrically designed bottle to preserve the nutritional value of breastmilk while providing the next best experience to breastfeeding. The bottles warm up 2-3 times faster than a standard bottle cutting prep time and preventing overheating. Nanobebe has also designed these lay flat storage bags to freeze breast milk keeping it organized, easy to grab, and prepare. 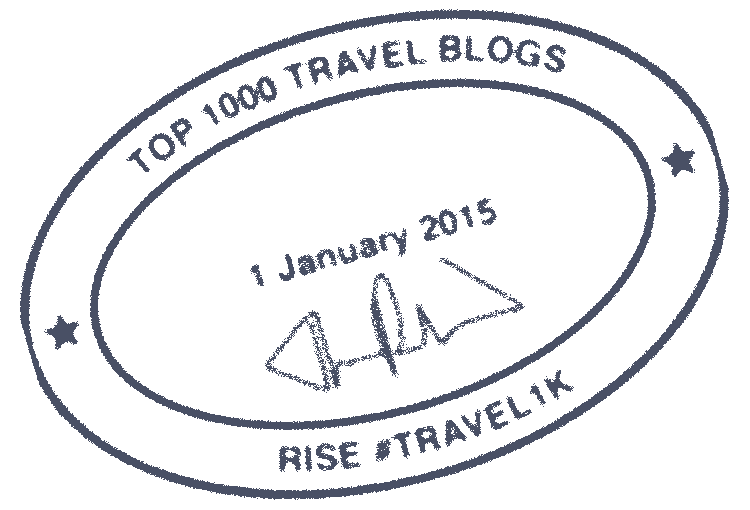 They cool quickly which helps prevent bacterial growth, and they thaw fast and evenly. 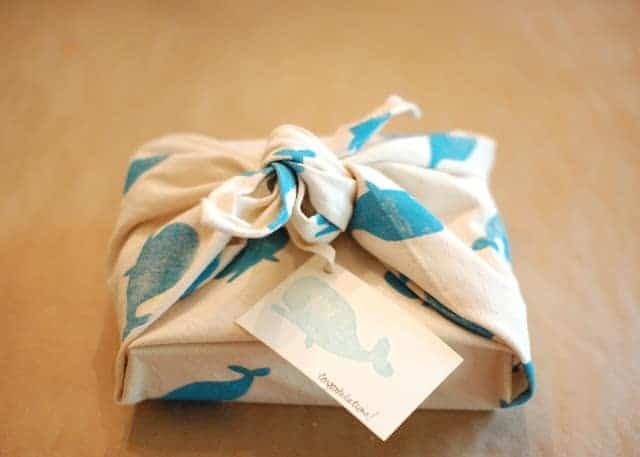 If you happen to find yourself in a bind when you need to do some gift wrapping (as I often do) use items from around the house like this Martha Stewart example. Using cupcake papers you can make a flower like adornment that is adorable. This set from Marcus and Marcus is one of my favorite feeding accessories. 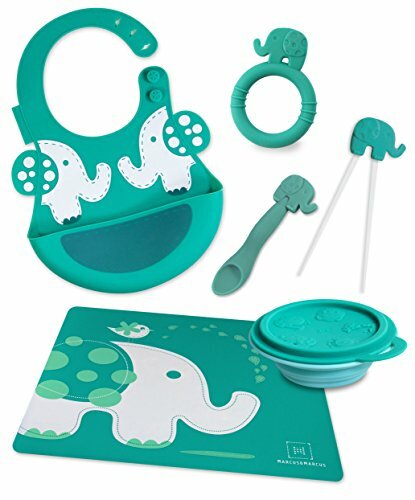 The 6 pieces include a placemat, bib, spoon, collapsible container, learning chopsticks and a teether. It is made from soft and colorful silicone that is easy to clean and has a no slip grip. This set is a must for when baby starts eating foods. Put all these goodies in a custom made gift bag like this one from May Arts. With a little hot glue and decorations, you can make an adorable little bag to offer up presents for the new little bundle. 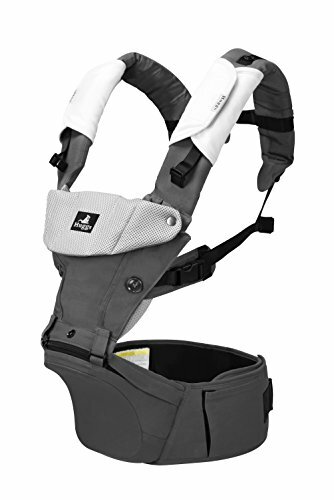 This baby carrier is the perfect gift idea for outdoorsy parents. It is one of the most versatile and comfortable baby carriers I have ever had the pleasure of using. Designed to be used from baby to toddler size, it is made of durable, breathable fabric with padding to make it easy to wear and comfortable for baby and wearer. It fits both me and my husband with its convenient adjustable straps. This is a great gift idea for a Mom on the go or those parents that love to spend time outside. Simple wrapping can turn a box into an adorable bear present like this one from Sol Solito. 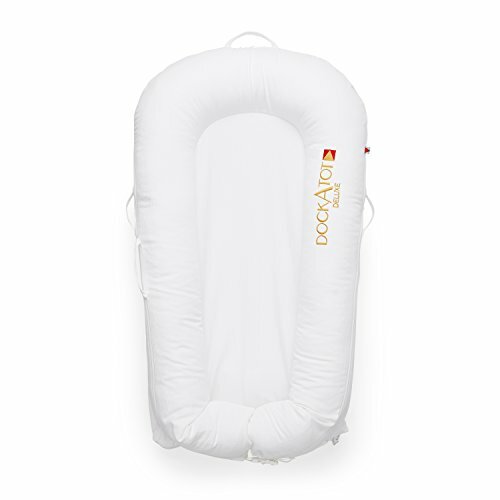 Made to mimic the womb, the DockATot is like a heavenly little snuggle pillow for baby. It cradles them and makes them feel secure so they sleep better. The convenient size and lightweight design means it is perfect to take along on travel too. This is one of my new favorite must haves that moms don’t even realize they need. Make your own wrapping paper. Reuse brown paper bags and use stamps, little feet or just a pencil eraser to make a pattern on paper. You could even let your kiddos paint pictures on the paper to make customized gift wrapping. Carrying around a car seat isn’t easy. 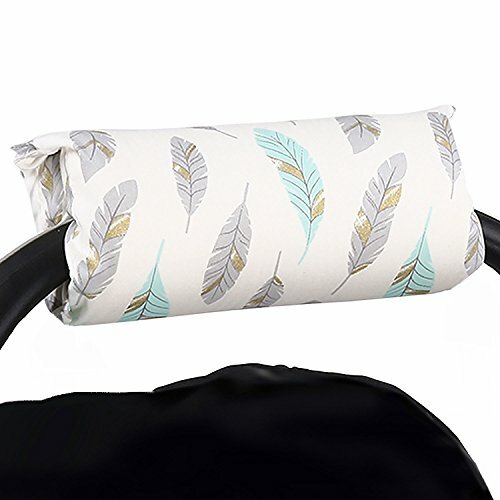 This simple little cushion will make lugging that car seat around just a little easier. 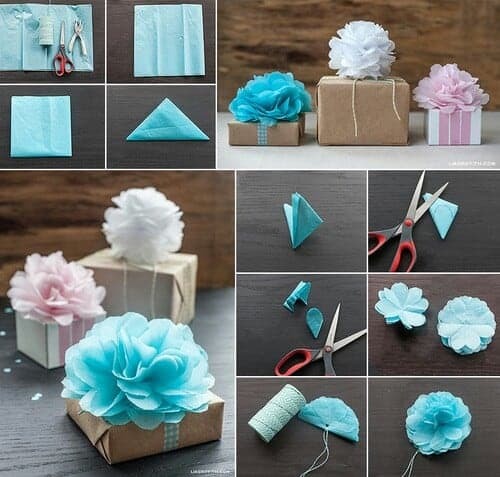 This graphic from Lia Griffith shows easy steps to make awesome bows with just tissue paper. Turn your gifts into colorful creations. I was gifted some of these items for the opportunity to review them. All opinions remain my own. Wow some beautiful gift wrapping here, almost too beautiful to break into! I recently attended a baby shower and was really stuck on what gift to buy, I decided as the baby would be showered with lots of gifts (pun intended!) to buy for the mum to be. I came across some really unique gift ideas. I went for some gorgeous pampering gifts for Mum to enjoy before baby arrives!